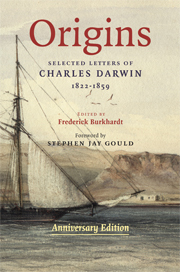 Charles Darwin’s voyage on the HMS Beagle is a gripping adventure story, and a turning point in the making of the modern world. Brought together here in chronological order, the letters he wrote and received during his trip provide a first-hand account of a voyage of discovery that was as much personal as intellectual. We follow Darwin’s adventures as he prepares for his travels, lands on his first tropical island, watches an earthquake level a city, and learns how to catch ostriches from a running horse. We witness slavery, political revolution, and epidemic disease, and share the otherworldly experience of landing on the Galapagos Islands and collecting specimens. His letters are counterpoised by replies from family and friends that record a comfortable, intimate world back in England. Original watercolors by the ship’s artist Conrad Martens vividly bring to life Darwin’s descriptions of his travels. 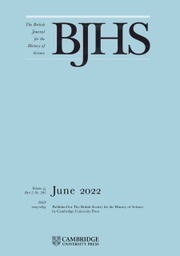 "It's a pleasure to have the correspondence from this critical period in an accessible volume. It is fascinating to watch Darwin attempt to come to grips with the huge amount of data he collected and make sense of the patterns he observed. We get an intimate look at an adventurous young Darwin, so unlike his more familiar, sedentary older self who would write On the Origin of Species. 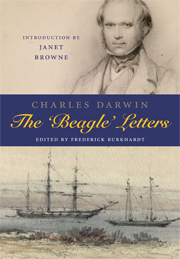 The late Burkhardt, who founded the Darwin Correspondence Project, has filled in details and context as needed, and the introduction by Darwin biographer Browne is a joy to read." contains: 30 b/w illus. 12 colour illus. 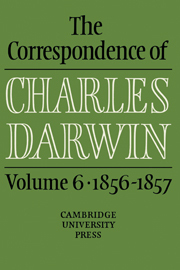 Frederick Burkhardt (1912–2007) was the founder of the Charles Darwin Correspondence Project, and the associated high-profile book series The Correspondence of Charles Darwin (Cambridge University Press, 1985- ). He was the President of the American Council of Learned Societies from 1957 to 1974, and in 2003 was awarded the American Philosophical Society Thomas Jefferson Gold Medal for Distinguished Achievement in the Arts, Humanities, or Social Sciences. 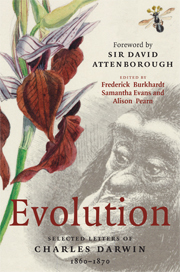 This volume is the work of the Editors of the Charles Darwin Correspondence Project (http://www.darwinproject.ac.uk). 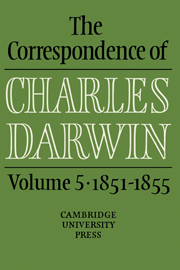 Selected Letters of Charles Darwin, 1822–1859. Anniversary edition.